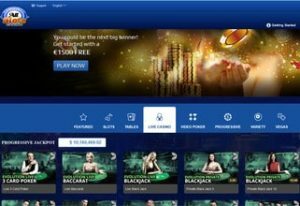 Founded in 2002, and part of the Fortune Lounge Group of online casinos, All Slots Casino may be younger than some of its more established contenders, but has managed to solidify a reputation for itself as one of the worlds most trusted online casino destinations, thanks to its multiple licences and registrations (including the Malta Gaming Authority), safe and secure banking mechanisms, unbeatable selection of world-class games, generous bonuses, rewarding Loyalty Programme, hands-on customer support team and much, much more. In this detailed review, we take a look at some of the highlights that you, as a new player, can expect to find and enjoy when becoming a member of this awesome online gaming hub. Probably the benchmark by which an online casino can be measured nowadays, the Live Dealer offering is a means by which players from around the world can chat and interact with one another, as well as their respective croupiers. 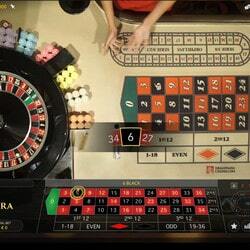 Powered by Evolution Gaming, this innovative feature uses HD streaming technology to bring the look-and-feel of a land-based casino to a player’s chosen device. Plus, the feature is not limited to any particular platform – one can wager and play on PC, laptop, mobile and smartphone alike. Just make sure you have a stable Internet connection, or a suitable data plan. 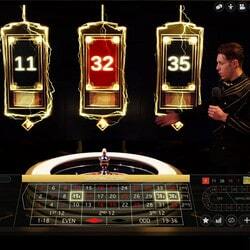 New games are released all the time, but at the moment there is a massive selection of different Live Dealer games, including Blackjack, Roulette and Baccarat, as well as exciting game-show type offerings, like the wheel-spinning Dream Catcher. Get your poker face on and blush and flush your way to a win with games like Casino Hold’em. It used to be the case that, if there was no room at a particular table, you simply had to wait. But now, thanks to certain games having a Back Bet feature, you can literally bet and win off another player’s hand at the table! Just as one would do in a brick-and-mortar establishment, the Live Dealer calls for players to be mindful of others who are at the same table or in the same game. Online slot games continue to be the most popular choice of any casino game in the world, and you’ll probably find that these make up the bulk of the selections on offer at any reputable gaming hub. All Slots is no exception, and is home to 500+ online slots titles, with new titles being released on a monthly basis. Just like the Live Dealer games, the slots offerings are also available across a number of different platforms, so you’ll never have an excuse for being bored, ever again. While some of the older titles may not be compatible yet (after all, smartphones weren’t even around back in 2002), all new releases are optimised. If it’s old-school nostalgia you’re after, the 3-reel slots on offer are packed with a sentimental kick, thanks to imagery of cherries, bars, 7s and plums. Don’t let the more basic appearance of these slots deter you, they churn out just as much winning potential as any other selection, thanks to the use of Random Number Generators (RNG) software across all games at All Slots Casino. You can also get your game on with some of the most richly-animated, feature-packed 5-reel video slots ever made. Plenty of these are based on hit movies and TV shows, while others are completely original creations. With supported software providers at All Slots including NetEnt and Microgaming, you can rest assured that every game you play will boast exceptional graphics, smooth gameplay and crisp audio. You can also try your luck on a variety of progressive jackpot games, like Mega Moolah. These affectionately called ‘millionaire maker’ slots games have been known to pay out record-breaking amounts with one lucky spin. For every other type of gamer, All Slots Casino has something to offer, including numerous scratch cards, video poker varieties and even keno-style games. Newcomers to the world of All Slots Casinos are eligible for an excellent welcome bonus offer of up to C$1500 free, which is split across their first three deposits as 100% matches up to C$500, each. You’re in no way pressured to take that up in full, and you have 7 days to decide, which means the casino puts no pressure on you to start depositing. What’s more, most of the games on offer have a ‘Demo Mode’, anyway, so you can experiment around the casino a little bit before deciding to max out the welcome offer. Every day that you log in to play will see being awarded a special Daily Deal. This is essentially a match offer that has been specifically tailored to suit your individual gaming and wagering habits. The fact that All Slots Casino avoids a ‘one size fits all’ philosophy in favour of tailored customer experiences, is just one reason why this online gaming hub has continued to satisfy its global audience. You can also look forward to fun and exciting promotions, lucky draws competitions. These could see you walking away with a share of exciting prizes like Free Spins on selected games, cash and bonus rewards or Loyalty Points. These form part of the aforementioned Loyalty Programme, where every cash wager placed and played earns you Loyalty Points. The more of these you manage to accrue, the higher up the various Loyalty tiers you will progress, unlocking further rewards as you go. Plus, when you have enough Loyalty Points, you will be able to exchange them for free casino credits. In this age of online shopping and Internet transactions, it’s all too easy to divulge personal and private information to third parties, without ever knowing how safe or secure they might be. Thankfully, this is never a concern when it comes to making deposits and withdrawals at All Slots Casino, where only the biggest and most trusted names in online banking mechanisms are on offer. As such, you can use debit/credit cards like Mastercard and Visa, convenient prepaid solutions like paysafecard, and even web wallets like Skrill. It is important to note that, while deposits ordinarily reflect in your casino account instantaneously, you can expect withdrawals to take a bit longer, as they have to surpass an industry standard pending period of up to 48 hours. What’s more, in the event of a big withdrawal, the casino reserves the right to request certain documents from you, so as to verify your information. These usually include a copy of your ID or driver’s licence, as well as a copy of a recent utility bill, to show proof of address. What some players like to do – and which isn’t a bad idea, actually – is to send in those documents shortly after creating an account. That way, they will get processed as soon as they arrive, and there will be less of a wait for your winnings to be released. You never need to worry about your details being compromised or tampered with at All Slots Casino, either, thanks to the use of 128-bit SSL digital encryption when you enter your details. Apart from its licensing and registration, the casino is also externally audited by independent regulatory body, eCOGRA. This ensures that the casino adheres to strict international policies regarding liable casino conduct, fast payouts and fair gameplay (hence the RNG software we mentioned earlier). In spite of having a very detailed Frequently Asked Questions page, a time may come when you need some assistance, or simply have a question. For this, there is the Live Help team, which is available 24/7, all year round. It doesn’t matter whether it’s an account or withdrawal query, a login detail you’ve forgotten or simply some hands-on gaming advice, the team will be able to get you back in the game in no time. They are professional, friendly and efficient, and reachable by means of email or Live Chat facility. While we would like to have seen an option available for a telephone line, it seems that more and more online casinos are doing away with that as an option. You would be hard pressed to find an online gaming destination that offers quite as much as All Slots Casino does, in the way that it does. Everything seems to come together perfectly, from that initial welcome offer to the bonuses and promotions that follow. The list of games is exceptional, and it really doesn’t matter what your favourite is, be it online slots, roulette, blackjack, baccarat or craps, it’s right here. Banking is quick, easy and safe, and the various security measures in place at the online casino ensure that you’ll always be protected. The regular and rewarding promotions and competitions are sure to keep you coming back for more each time, and it won’t take you long to see why we think All Slots Casino is one of the best out there.